The rhythmic rocking of needles, the back and forth on circulars went right to my heart. Grieving for my mom who passed away in December 2011, all I could do was knit circles in 2012. One after another, not thinking about what I was doing while knitting. Emptying my mind, the movement became part of my body and created a needed structure and new neuro pathways so that I could move on to another stage. 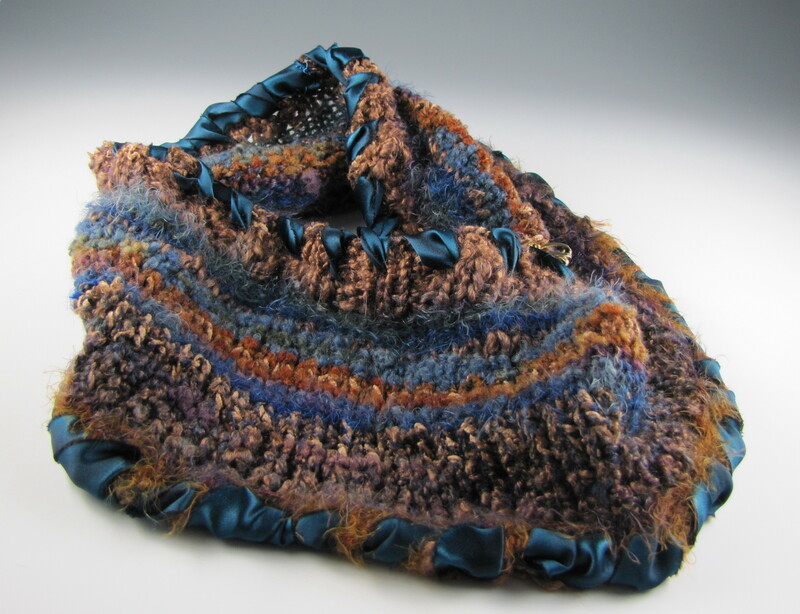 It was freeing, comforting, and allowed me to finally accept imperfections in my knitting. It was fine to miss a stitch or make the wrong one, because afterward I could take my mistakes and create something new with them. Though the initial stages of grief were beyond my imagination, making these circles told me where I was in my process of acceptance. It took a long time. And from the experience of, trying to create something meaningful out my sadness and loss, I learned about how it is human to err in the process and not to worry, because you can always fix it later. Anxieties melted away, more heart and soul grew into the circles, and then, happiness.